Have you been considering getting laser hair removal? Maybe you are dreaming aboutwarmer, bikini weather and how great it would be not to have to worry about shaving allthe time! Well, if you are tired of shaving and looking for smooth, flawless skin, winter isthe time to make a dream come true. The cooler months are the perfect time for laser hairremoval and here are a few reasons why. Before a laser treatments/session, the skin shouldn’t be exposed to the sun and the mainreason that fall and winter are the best times of year to start the treatment. Treatmentswill be completed in six sessions and you will be ready by spring and summer without anyrestrictions to stay out of the sun. 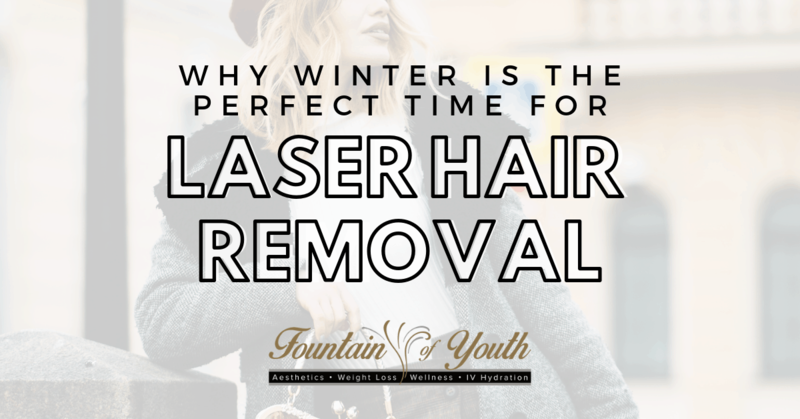 Also, when you get laser hair removal, the lasers target the melanin of the hair follicle.So, when the skin is lighter, it is easier for the laser to identify the follicle. When the skinis darker the laser is not as effective. During laser hair removal, it is important that you are out of the sun for at least two weeksor more before beginning treatments. During winter time, most people aren’t as exposedto the sun, and when they are, they typically wear long sleeves and pants due to thetemperature which is the opposite of the warmer months where you are more likely towear shorts and tank tops! The results you desire will take time. During the summer you will more than likelywant instant gratification and a quick fix. However, when it comes to laser hair removalthat is not the case and it does take time. Most patients need between 4 to 6 sessionsover the course of six months before the area is basically hair free. Due to the amount oftime it can take for the results, it is essential to begin the laser treatments long before youplan to expose the area where you are getting treatment. If you are planning to get laser hair removal or are interested in learning more, contact theteam at Fountain of Youth. We will help guide you in the right direction and answer any questions that you may have to make the decision best fit for you. Visit us at 6729 Spanish Fort Blvd. Ste BC in Spanish Fort, Alabama, call us at (251)525-8446.